"When there's no more room in Rulton, the bureaucrats will walk the earth." Zombie Authority has not been tagged yet. 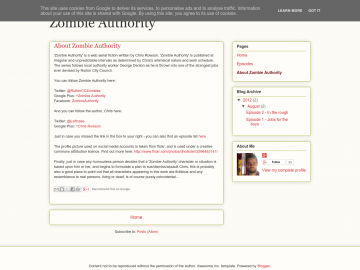 Help others find Zombie Authority by tagging it! Zombie Authority has not been reviewed yet. Zombie Authority has not been recommended yet.